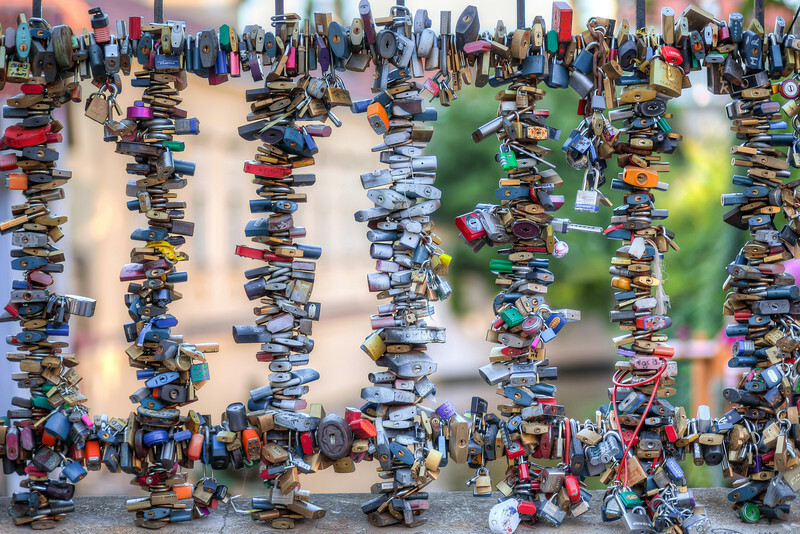 Looks like the love locks are becoming more popular each year. I have seen them already in so many cities. And I quite like them, as they make a nice subject for photos. Only thing I hate, is when people attach them to historical statues and architecture. Like on the Charles bridge in Prague. That's a really stupid idea in my opinion. It just damages a piece of history. This is of course not on the Charles bridge, but few streets away from it.